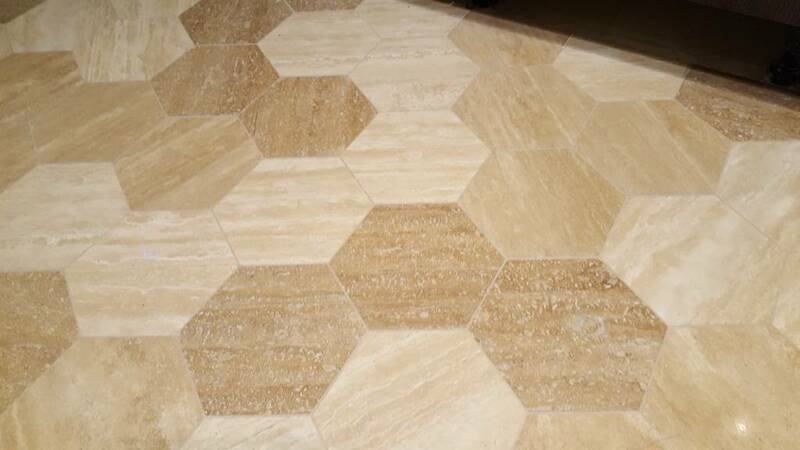 Dear all we just completed tiling hexagon travertine in three shades, navona, noce and a colour in between. we choose Keracolor FF 132 which looks great as a grout line and filler for holes. Unfortunately the grout came to light with the Keracolor 132. What do you suggest in order to darken the grout? 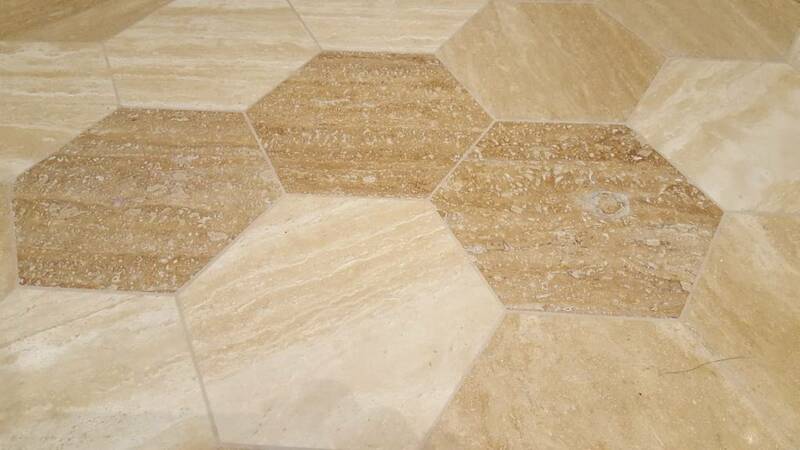 The travertine is sill unsealed. 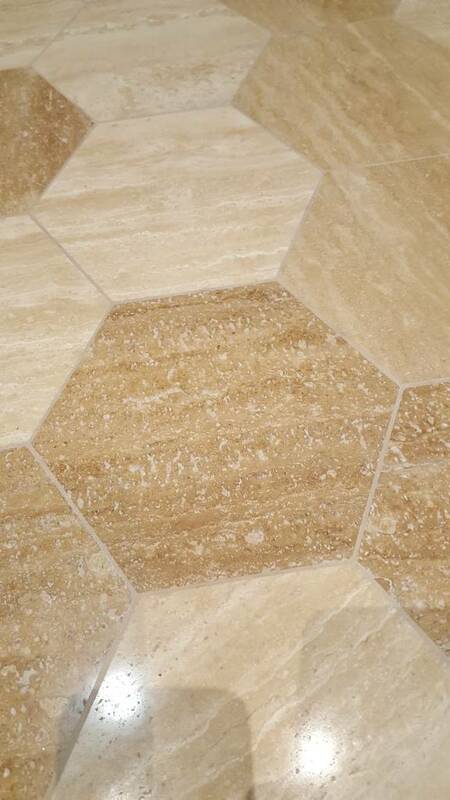 Both the grout in the holes as well as in the grout lines can be either color sealed as dramatic a color change as you want or you can use a stone color enhancing sealer for a very slight bump. Try on a sample first. Cuz you can only do one or the other, no turning back. If you color seal, you can functionally never remove all the color. And if you enhancer first, it would mess up the bond so then you can't use colorseal. Modern Stone Care aka This Old Grout makes color sealer in essentially every major grout manufacturers colors. If you're very particular about exact shade, order the color you think you want and another bottle 1 shade darker and 1 bottle 1 shade lighter.